We have several ongoing projects in structural bioinformatics, whose purpose is twofold: understanding the determinants of the structures and dynamics of proteins and protein complexes; and providing information that is useful for improving structure prediction. We are continuing to develop our backbone-dependent rotamer library, which expresses the frequency of side-chain rotamers as a function of the backbone dihedral angles phi and psi. The most recent publicly available version of the rotamer library was developed using Bayesian statistical analyses from a set of 850 protein chains. Our rotamer libraries are used in most side-chain conformation prediction programs as well most protein design methods. More recently, we have been developing a new backbone-dependent rotamer library that has smoothly varying probabilities and mean dihedral angles and variances. This rotamer library has been developed using non-parametric statistics using kernel density estimates and kernel regressions. It is designed primarily for use in programs that require smoothly varying functions for local minimization, such as Rosetta. It will be available in the near future (Shapovalov and Dunbrack, in preparation). Statistics of protein backbone conformations have been studied for over 40 years. While many studies have been presented, only a handful of distributions are publicly available for use in structure validation and structure prediction methods. The available distributions differ in a number of important ways, which determine their usefulness for various purposes. These include: 1) input data size and criteria for structure inclusion (resolution, R-factor, etc. ); 2) filtering of suspect conformations and outliers using B-factors or other features; 3) secondary structure of input data (e.g., whether helix and sheet are included; whether beta turns are included); 4) the method used for determining probability densities ranging from simple histograms to modern nonparametric density estimation; and 5) whether they include nearest neighbor effects on the distribution of conformations in different regions of the Ramachandran map. We have developed Ramachandran probability distributions for residues in protein loops from a high-resolution data set with filtering based on calculated electron densities. Maps for all 20 amino acids (with cis and trans proline treated separately) have been determined, as well as 420 left-neighbor and 420 right-neighbor dependent maps. The neighbor-independent and neighbor-dependent maps have been accurately estimated using Bayesian nonparametric statistical analysis based on the Dirichlet process. In particular, we used hierarchical Dirichlet process priors, which allow sharing of information between maps for a particular residue type and different neighbor residue types. The resulting maps are tested in a loop modeling benchmark with the program Rosetta, and are shown to improve protein loop conformation prediction significantly. The distributions will be made available at http://dunbrack.fccc.edu/nmhrcm on publication (Ting et al., submitted). Much of the software and results from molecular modeling have focused on the prediction of the structure of a single protein molecule. Proteins act on other molecules, including other proteins, DNA, and ligands or substrates, and our recent focus has been on developing methods for predicting these kinds of structures. The rapidly growing number of Protein Data Bank (PDB) entries with increasing complexity and diversity provides rich information for structure prediction and modeling of protein interactions. Many proteins function as homo-oligomers and are regulated via their oligomeric state. For some proteins, the stoichiometry of homo-oligomeric states under various conditions has been studied using gel filtration or ana- lytical ultracentrifugation experiments. The interfaces involved in these assemblies may be identified using cross-linking and mass spectrometry, solution-state NMR, and other experiments. However, for most proteins, the actual interfaces that are involved in oligomerization are inferred from X-ray crystallographic structures using assumptions about interface surface areas and physical properties. Examination of interfaces across different Protein Data Bank (PDB) entries in a protein family reveals several important features. First, similarities in space group, asymmetric unit size, and cell dimensions and angles (within 1%) do not guarantee that two crystals are actually the same crystal form, containing similar relative orientations and interactions within the crystal. Conversely, two crystals in different space groups may be quite similar in terms of all the interfaces within each crystal. Second, NMR structures and an existing benchmark of PDB crystallographic entries consisting of 126 dimers as well as larger structures and 132 monomers were used to determine whether the existence or lack of common interfaces across multiple crystal forms can be used to predict whether a protein is an oligomer or not. Monomeric proteins tend to have common interfaces across only a minority of crystal forms, whereas higher-order structures exhibit common interfaces across a majority of available crystal forms. The data can be used to estimate the probability that an interface is biological if two or more crystal forms are available. Finally, the Protein Interfaces, Surfaces, and Assemblies (PISA) database available from the European Bioinformatics Institute is more consistent in identifying interfaces observed in many crystal forms compared with the PDB and the European Bioinformatics Institute's Protein Quaternary Server (PQS). The PDB, in particular, is missing highly likely biological interfaces in its biological unit files for about 10% of PDB entries. We have developed several programs for protein structure prediction, and made these publicly available via our website. Determination of side-chain conformations is an important step in protein structure prediction and protein design. Many such methods have been presented, although only a small number are in widespread use. SCWRL is one such method, and the SCWRL3 program (2003) has remained popular because of its speed, accuracy, and ease-of-use for the purpose of homology modeling. However, higher accuracy at comparable speed is desirable. This has been achieved in a new program SCWRL4 through: (1) a new backbone-dependent rotamer library based on kernel density estimates (described above); (2) averaging over samples of conformations about the positions in the rotamer library; (3) a fast anisotropic hydrogen bonding function; (4) a short-range, soft van der Waals atom–atom interaction potential; (5) fast collision detection using k-discrete oriented polytopes; (6) a tree decomposition algorithm to solve the combinatorial problem; and (7) optimization of all parameters by determining the interaction graph within the crystal environment using symmetry operators of the crystallographic space group. Accuracies as a function of electron density of the side chains demonstrate that side chains with higher electron density are easier to predict than those with low-electron density and presumed conformational disorder. For a testing set of 379 proteins, 86% of chi1 angles and 75% of chi1+chi2 angles are predicted correctly within 408 of the X-ray positions. Among side chains with higher electron density (25–100th percentile), these numbers rise to 89 and 80%. The new pro- gram maintains its simple command-line inter- face, designed for homology modeling, and is now available as a dynamic-linked library for incorporation into other software programs. Ongoing work in SCWRL4 is focused on two efforts. First, we have developed a method for predicting multiple side-chain conformations for each residue, and compared these predictions with electron density calculations (Shapovalov and Dunbrack, Proteins 2007). Second, we are incorporating protein design algorithms into SCWRL4 to achieve fast and hopefully useful design capability. MolIDE 1.6 (Molecular Interactive Development Environment) provides a graphical interface for basic comparative (homology) modeling using SCWRL and other programs. MolIDE takes an input target sequence and uses PSI-BLAST to identify and align templates for comparative modeling of the target. The sequence alignment to any template can be manually modified within a graphical window of the target–template alignment and visualization of the alignment on the template structure. MolIDE builds the model of the target structure on the basis of the template backbone, predicted side-chain conformations with SCWRL and a loop-modeling program for insertion–deletion regions with user-selected sequence segments. The Dunbrack group concentrates on research in computational structural biology, including homology modeling, fold recognition, molecular dynamics simulations, statistical analysis of the PDB, and bioinformatics. In developing these methods, we use methods from various areas of mathematics and computer science, including Bayesian statistics and computational geometry. We place an emphasis on large-scale benchmarking of new methods and comparison with existing methods. We are interested in applying comparative modeling to important problems in various areas of biology. Areas of particular interest include DNA repair, proteases and other peptide-binding protein families, and membrane proteins. Our software development uses visual programming environments, such as Visual Studio, and modern programming languages such as object-oriented C++ and C#. Our goal is to produce easy-to-use, professional software for use in our own research as well as to be distributed to other research groups around the world. The research in my group is concentrated on statistical structural bioinformatics, the development of methods for structure prediction of proteins and protein complexes, and the application of these methods to problems in cancer biology. Our statistical studies include Bayesian and non-parametric statistical analyses of main-chain and side-chain bond angles and dihedral angles used in methods for protein structure prediction and structure determination and validation. We also analyze the structures in particular protein families, such as kinases and antibodies, across the whole structure database to develop insights that will lead to better design of cancer therapeutics. We have performed clustering and statistical analysis of protein-protein interactions in crystals as a means of determining accurate biological assemblies for each PDB entry and developing hypotheses on biologically relevant interactions that may have been overlooked by authors of structures. Our structure prediction methods include recently developed software for predicting the structures of protein complexes including both homo- and heterooligomers based on the biological assemblies of templates in the Protein Data Bank. I believe strongly in making statistical analyses, databases, and software available to all non-profit research groups, which we do via our website, http://dunbrack.fccc.edu. I am very fortunate to work in one of the country’s leading cancer research centers and cancer hospitals, allowing me to extend and apply my interests in structural biology to problems in cancer biology. Through the Molecular Modeling Facility at Fox Chase, which I direct, we have worked with nearly all of my colleagues who work in every area of cellular or molecular biology, using structure prediction to help them explain or design experiments in any system of interest. With the advent of germline and tumor gene sequencing in cancer patients, I believe there is an opportunity to apply knowledge gained from structural bioinformatics and structure prediction in guiding the design of therapeutics in precision medicine. Statistical functions of the Ramachandran map variables f,y. We have utilized modern methods of statistics to derive density estimates, classification functions, and regression surfaces as functions of the backbone dihedrals f and y for use in structure determination, validation, and prediction as well as protein design. We have derived smoothed density estimates of f,y for each residue type with kernel density estimates using periodic von Mises kernels. These density estimates are used in the program Rosetta to model the torsional energy potential of the backbone. We have also used a hierarchical Bayesian non-parametric method to produce neighbor-dependent Ramachandran maps, which provide f,y densities for each residue type given the amino acid type of its neighbor (http://dunbrack.fccc.edu/NDRD). These are also used in Rosetta and other programs for loop structure prediction. From density estimates conditional on a discrete variable X (such as residue type or rotamer), p(f,y|Xi), it is possible to derive classification functions of the form p(Xi|f,y) with Bayes’ rule. The backbone-dependent rotamer library is an example of such a function, which I first derived as a graduate student in 1991. We have produced new versions with increasingly powerful statistical methods in a series of papers (1993-2011) with a total of 2,740 citations on Google scholar and 551 licenses (http://dunbrack.fccc.edu/bbdep2010). Finally, we have used kernel regression on f and y to derive smooth functions for backbone bond angles and the dihedral angle w and side-chain bond angles and dihedral angles on data sets of structures with resolution <1.0 Å.
Ting D, Wang G, Shapovalov M, Mitra R, Jordan MI, Dunbrack RL Jr. Neighbor-dependent Ramachandran probability distributions of amino acids developed from a hierarchical Dirichlet process model. PLoS Comput Biol. 2010 Apr 29;6(4):e1000763. PubMed PMID: 20442867; PubMed Central PMCID: PMC2861699. Shapovalov MV, Dunbrack RL Jr. A smoothed backbone-dependent rotamer library for proteins derived from adaptive kernel density estimates and regressions. Structure. 2011 Jun 8;19(6):844-58. PubMed PMID: 21645855; PubMed Central PMCID: PMC3118414. Berkholz DS, Driggers CM, Shapovalov MV, Dunbrack RL Jr, Karplus PA. Nonplanar peptide bonds in proteins are common and conserved but not biased toward active sites. Proc Natl Acad Sci U S A. 2012 Jan 10;109(2):449-53. PubMed PMID: 22198840; PubMed Central PMCID: PMC3258596. Berkholz DS, Shapovalov MV, Dunbrack RL Jr., Karplus PA. Conformation dependence of backbone geometry in proteins. Structure 17:1316-1325, 2009. PMID: 19836332; PMCID: PMC2810841. Algorithms and software for protein structure prediction: We have developed graph-theory based algorithms for prediction of protein side-chain conformations. Our program SCWRL is by far the most used program for prediction of the three-dimensional structure of side chains given an input protein backbone structure. It was published in five papers (1997, 1999, 2003, 2008, 2009) with 2,407 citations and 6,733 licenses. The latest version predicts >97% of c1 dihedral angles within 40° for residues that are buried within protein crystals (http://dunbrack.fccc.edu/scwrl4). We developed the cyclic coordinate descent algorithm (CCD) for closing protein loops during loop modeling procedures. This simple, very fast algorithm is implemented in Rosetta for connecting backbone segments in protein structure prediction. It is also used in many other programs for loop structure prediction (372 citations). Finally, we have developed two graphical user interfaces for structure prediction using SCWRL, one for modeling monomeric protein structures (MolIDE) and one for modeling biological assemblies, such as homo- and heterooligomers (BioAssemblyModeler or BAM). MolIDE was published in two papers (2005, 2008: 142 citations; licensed 2,122 times) and BAM was published in 2014 (335sc licenses). BAM takes up to six protein sequences, assigns protein domain families to the queries, and then searches in a precompiled database of biological assemblies in the Protein Data Bank for any structures that contain one or more of the query domains. With the push of a few buttons, protein oligomeric structures can be predicted with profile-profile alignment and SCWRL side-chain predictions. Canutescu AA, Dunbrack RL Jr. Cyclic coordinate descent: A robotics algorithm for protein loop closure. Protein Sci. 2003 May;12(5):963-72. PubMed PMID: 12717019; PubMed Central PMCID: PMC2323867. Wang Q, Canutescu AA, Dunbrack RL Jr. SCWRL and MolIDE: computer programs for side-chain conformation prediction and homology modeling. Nat Protoc. 2008;3(12):1832-47. PubMed PMID: 18989261; PubMed Central PMCID: PMC2682191. Krivov GG, Shapovalov MV, Dunbrack RL Jr. Improved prediction of protein side-chain conformations with SCWRL4. Proteins. 2009 Dec;77(4):778-95. PubMed PMID: 19603484; PubMed Central PMCID: PMC2885146. Shapovalov MV, Wang Q, Xu Q, Andrake MD, Dunbrack RL Jr. BioAssemblyModeler (BAM): User-friendly homology modeling of protein homo- and heterooligomers. PLOS ONE 9:e98309, 2014. PMID: 24922057. PubMed Central PMCID: PMC4055448. Biological assemblies of proteins. Many if not most proteins exist in homo- or heterooligomeric assemblies, and these assemblies can be observed in protein crystals. Annotations for biological assemblies in the PDB are less than 80% accurate. One form of evidence in favor of the biological relevance of interfaces in crystals is whether they have been observed in multiple crystal forms of the same protein or of homologous proteins. For example, we found a small dimer of cytosolic sulfotransferases (previously identified in 2001 by crosslinking and mass spec) in 24 crystal forms and 47 PDB entries (currently), but it is contained in only 6 of the deposited biological assemblies in the PDB. We extended this idea to the entire PDB first by benchmarking the idea (2008, 75 citations) and second by developing ProtCID: the Protein Common Interface Database (http://dunbrack2.fccc.edu/protcid). ProtCID provides evidence for correct protein biological assemblies by clustering similar interfaces in multiple crystal forms of homologous proteins or protein pairs, which is highly correlated with biological relevance. The database (48 citations; ~1,000 annual users) is useful for generating novel biological hypotheses, and also contains information on Pfam domains (http://dunbrack.fccc.edu/pdbfam), bound peptides, DNA/RNA, and ligands. One important consequence of knowing the correct biological assemblies of a protein or protein family in the PDB is improving the accuracy of predicting the phenotypes of missense mutations. We demonstrated in 2013 that the location of missense mutations within biological assemblies improves the prediction of missense phenotypes. We have been applying these methods to exome sequencing in clinical research projects at Fox Chase Cancer Center. We have recently used the interface database to identify 15 complexes of kinases in crystals in the act of trans-autophosphorylation, published in Science Signaling. Xu Q, Canutescu AA, Wang G, Shapovalov M, Obradovic Z, Dunbrack RL Jr. Statistical analysis of interface similarity in crystals of homologous proteins. J Mol Biol. 2008 Aug 29;381(2):487-507. PubMed PMID: 18599072; PubMed Central PMCID: PMC2573399. Xu Q, Dunbrack RL Jr. The protein common interface database (ProtCID)--a comprehensive database of interactions of homologous proteins in multiple crystal forms. Nucleic Acids Res. 2011 Jan;39(Database issue):D761-70. PubMed PMID: 21036862; PubMed Central PMCID: PMC3013667. Wei Q, Xu Q, Dunbrack RL Jr. Prediction of phenotypes of missense mutations in human proteins from biological assemblies. Proteins. 2013 Feb;81(2):199-213. PubMed PMID: 22965855; PubMed Central PMCID: PMC3552143. Xu Q, Malecka KL, Fink L, Jordan JJ, Duffy E, Kolander S, Peterson J, Dunbrack RL Jr. Three-dimensional structures of autophosphorylation complexes in crystals of protein kinases. Science Signaling 8:rs13, 2015. doi:10.1126/scisignal.aaa6711. Pubmed PMID: 26628682. PubMed Central PMCID: PMC4766099. Structural bioinformatics of antibodies and computational antibody design. Antibodies contain six complementarity-determining regions (CDRs), which are highly variable loops that bind antigen. In 2011, we updated the classification and clustering of antibody CDR conformations utilizing strict quality criteria, a dihedral angle metric, and an affinity propagation algorithm (139 citations). This was the first comprehensive classification since Chothia’s efforts in 1997, and the first quantitative clustering of antibody CDRs. We have also presented this as a publicly available database with weekly updates on the PDB (http://dunbrack2.fccc.edu/pyigclassify). We are developing computational methods for antibody design (NIH R01 GM111819). With Jeff Gray at Johns Hopkins, we identified non-antibody protein structures that contain loops resembling the CDR H3 of antibodies, which contains a kink at its C-terminus that was thought to be unusual and specific to antibodies. It is present in at least 600 other protein families, and in PDZ domains appears to play a conserved role in defining the conformation of a loop involved in substrate recognition. These non-antibody loops will provide templates for structure prediction and potentially for computational design of antibodies. North B, Lehmann A, Dunbrack RL Jr. A new clustering of antibody CDR loop conformations. J Mol Biol. 2011 Feb 18;406(2):228-56. PubMed PMID: 21035459; PubMed Central PMCID: PMC3065967. Weitzner BD, Dunbrack RL Jr*, Gray JJ*. The Origin of CDR H3 Structural Diversity. Structure. 2015 Feb 3;23(2):302-11. PubMed PMID: 25579815; PubMed Central PMCID: PMC4318709. Lehmann AK, Wixted JHF, Shapovalov MV, Roder H, Dunbrack RL Jr.,* Robinson MK. * Stability engineering of anti-EGFR scFv antibodies by rational design of a l-to-k swap of the VL framework using a structure-guided approach. mAbs 7:1058-1071, 2015. doi:10.1080/19420862.2015.1088618. PubMed PMID: 26337947. PMCID: in process by journal. Applications of protein structure prediction to cancer biology. 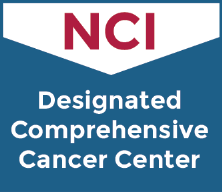 Since 2003, I have directed the Molecular Modeling Facility at Fox Chase, an NCI CCSG supported facility that provides molecular modeling services to all investigators at Fox Chase and Temple University School of Medicine. The Facility discusses new projects with principal investigators to determine what questions are being asked and what role structural information may have in the interpretation of existing experimental data, in the design of new experiments, and in the development of hypotheses in molecular and cellular biological studies. With my colleagues, we have published 41 collaborative papers since 1997 that include the application of protein structure prediction and molecular modeling in biological and clinical contexts. In 2014, I was asked to be the assessor of template-based modeling for the 11th Meeting on the Critical Assessment of Protein Structure Prediction (CASP11). CASP meetings allow groups developing structure prediction methods to make predictions on ~100 protein targets before their structures are available. After the structures become available, they are assessed by experts in the field and the best groups are asked to present their results at the biennial meeting. This year the organizers wanted to emphasize the utility of structure prediction in biological studies and for this reason my group was chosen to perform the assessment since we have a long history in applying structure prediction in many areas of biology. Plimack ER, Dunbrack RL Jr., Brennan TA, Andrake MD, et al. Defects in DNA Repair Genes Predict Response to Neoadjuvant Cisplatin-based Chemotherapy in Muscle-invasive Bladder Cancer. Eur Urol. 68:959-967, 2015. PubMed PMID: 26238431. PubMed Central PMCID: PMC4764095. Anastassiadis T, Duong-Ly KC, Deacon SW, Lafontant A, Ma H, Devarajan K, Dunbrack RL Jr., Wu J, Peterson JR. A highly selective dual insulin receptor (IR)/insulin-like growth factor 1 receptor (IGF-1R) inhibitor derived from an extracellular signal-regulated kinase (ERK) inhibitor. J Biol Chem. 2013 Sep 27;288(39):28068-77. PubMed PMID: 23935097; PubMed Central PMCID: PMC3784719. Huwe PJ, Xu Q, Shapovalov MV, Modi V, Andrake, MD, Dunbrack RL. Biological function derived from predicted structures in CASP11. Proteins 10.1002/prot.24997, 2016. NIHMSID: 754633. PMCID: in process. Modi V, Xu Q, Adhikari S, Dunbrack RL. Assessment of template-based modeling of protein structure in CASP11. Proteins. 2016 Apr 15. doi: 10.1002/prot.25049. PMID:27081927. NIHMSID: 778476. PMCID: in process. Weitzner BD, Jeliazkov JR, Lyskov S, Marze N, Kuroda D, Frick R, Adolf-Bryfogle J, Biswas N, Dunbrack RL Jr, Gray JJ. Modeling and docking of antibodies with Rosetta. Nature Protocols 12:401-416, 2017. PMCID: in process. Huwe PJ, Xu Q, Shapovalov MV, Modi V Andrake MD, Dunbrack RL. Biological function derived from predicted structures in CASP11. Proteins 84 Suppl. 1:370-391, 2016. DOI: 10.1002/prot.24997; PMCID: PMC4963311. Adolf-Bryfogle J, Xu Q, North B, Lehmann A, Dunbrack RL Jr. PyIgClassify: A database of antibody CDR structural classifications. Nucleic Acids Research (database issue) 43:D432-438, 2015. DOI: 10.1093/nar/gku1106; PMCID: PMC4383924. Lehmann AK, Wixted JHF, Shapovalov MV, Roder H, Dunbrack RL Jr.,* Robinson MK. * Stability engineering of anti-EGFR scFv antibodies by rational design of a -to- swap of the VL framework using a structure-guided approach. mAbs 7:1058-1071, 2015. DOI:10.1080/19420862.2015.1088618; PMCID: PMC4966335. Weitzner BD, Dunbrack RL Jr.,* Gray JJ*. The origin of CDR H3 structural diversity. Structure 23:302-311, 2015. *Corresponding authors. PMCID: PMC4318709. Xu Q, Malecka KL, Fink L, Jordan JJ, Duffy E, Kolander S, Peterson J, Dunbrack RL Jr. Three-dimensional structures of autophosphorylation complexes in crystals of protein kinases. Science Signaling 8:rs13, 2015. DOI:10.1126/scisignal.aaa6711; PMCID: PMC4766099. Shapovalov MV, Wang Q, Xu Q, Andrake MD, Dunbrack RL Jr. BioAssemblyModeler (BAM): User-friendly homology modeling of protein homo- and heterooligomers. PLOS ONE 9:e98309, 2014. PMCID: PMC4055448. Wei Q, Dunbrack RL Jr. The role of balanced training and testing data sets for binary classifiers in bioinformatics. PLOS ONE 8:e67863, 2013. PMCID: PMC3706434. Wei Q, Xu Q, Dunbrack RL Jr. Prediction of phenotypes of missense mutations in human proteins from the structures of biological assemblies. Proteins 81:199-213, 2013. PMCID: PMC3552143. Berkholz DS, Driggers CM, Shapovalov MV, Dunbrack RL Jr., Karplus PA. Nonplanar peptide bonds in proteins are common and conserved but not biased toward active sites. Proc Natl Acad Sci USA 109:449-453, 2012. PMCID: PMC3258596.